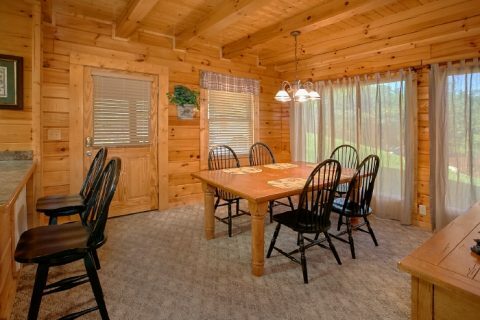 Welcome to "Lookin Up" a cozy 2 bedroom log cabin close to Pigeon Forge in Blackberry Ridge Resort. 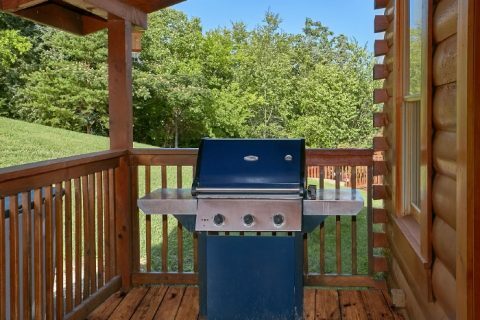 This rental boasts a great location close to the Pigeon Forge Parkway and Smoky Mountain attractions like Dollywood. 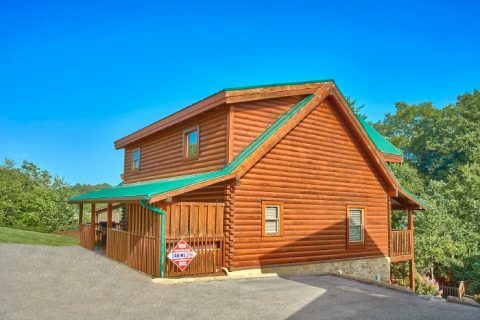 Guests at this cabin rental close to both Pigeon Forge and Wears Valley will also enjoy quick access to the national park. 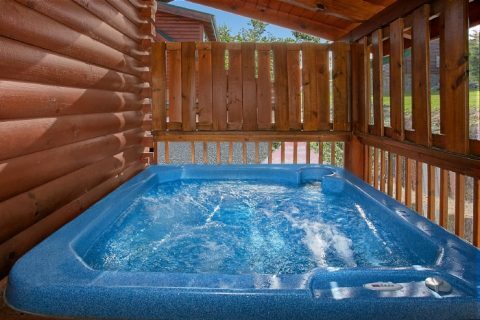 Enjoy a premium log cabin with excellent amenities close to all the sights and attractions that you want to see! 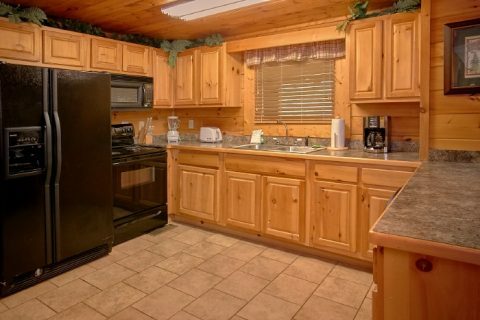 This 2 bedroom Blackberry Ridge Resort cabin sleeps 6 guests and offers 2 king-size bedrooms. 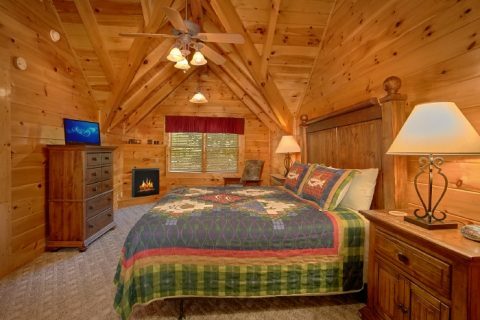 Both rooms have a television, but the master bedroom boasts a bath, electric fireplace and an in-room jacuzzi tub for romance and relaxation. 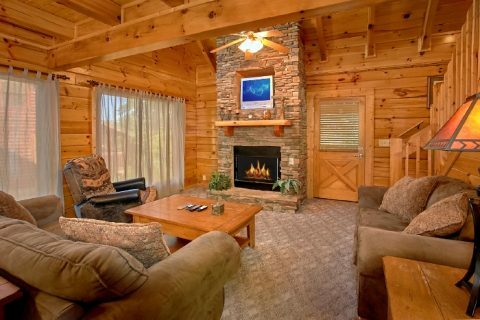 In the main living room, guests will love relaxing on comfortable furnishing while they warm their hands by the seasonal, gas log fireplace or watch their favorite movies together. A sleeper sofa in this room offers additional sleeping space. 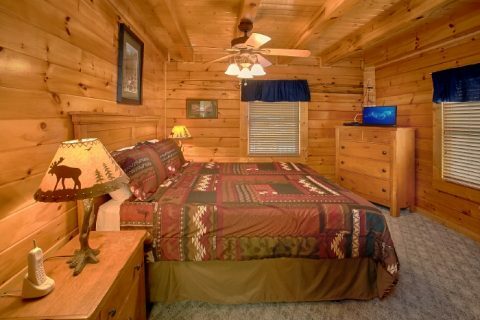 WiFi Internet is available in this cabin for guests who want to share their Smoky Mountain exploits on social media. "Lookin Up" is especially popular with families who have children. 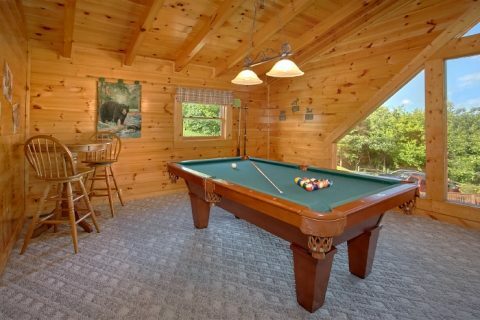 For more in-cabin entertainment, there is a pool table where your family can hold a tournament to determine who has the best pool shot. This well-located, family cabin sits between Pigeon Forge and Wears Valley. Pigeon Forge offers plenty of action-packed entertainment, but your family may want to spend some time in the quieter side of the Smokies. 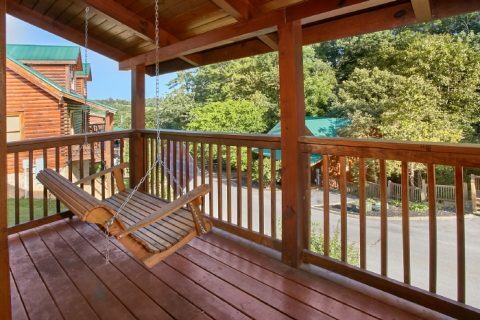 Wears Valley is a peaceful mountain community that has several unique local shops and restaurants. Better yet, Wears Valley enjoys quick access to the Great Smoky Mountains National Park via a lesser known park entrance in the Metcalf Bottoms area of the Smokies. 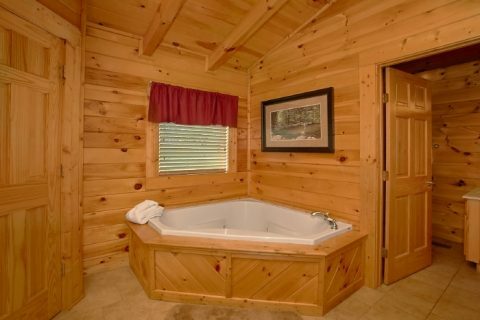 This way your family can easily access destinations like Cades Cove or enjoy a beautiful hike. 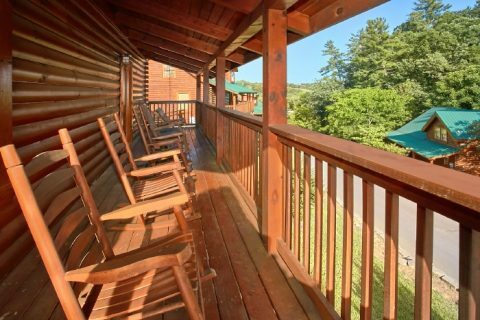 Book your 2 bedroom cabin rental close to Pigeon Forge and Wears Valley for a Smoky Mountain vacation experience you won't soon forget. 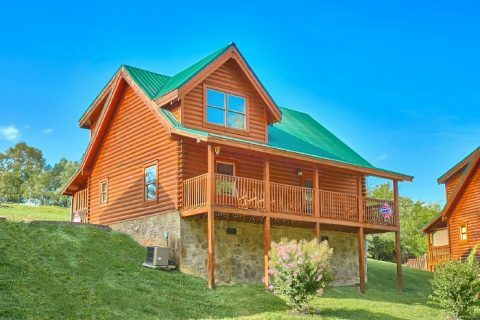 With our special 15% cabin discount, you can save your hard-earned vacation dollars for experiencing the best that the mountains of Tennessee have to offer.